Out in UK cinemas now – showing at the ICA (London) from Dec 2 to Dec 15, 2011, as well as at the The Tricycle (London) – plus another few cinemas. Las Acacias, winner of the Sutherland Award at the BFI Film Festival and the Caméra d’Or at Cannes, both awards for the best debut feature, is a Spanish-Argentinian co-production that is highly minimalistic, featuring as much dialogue in an hour and a half as most other films do in ten minutes. Barely a syllable is uttered in the first thirty minutes at all. In other words, if you are looking for witty exchanges between characters, or otherwise a plot filled with thrill and action, Las Acacias will not deliver for you. What it does offer is a glimpse into the life of two characters (three, if we are to include baby Anahí – and there is plenty of reason we should) that charms viewers in its own, quiet way. Although Las Acacias is a fictional film, it is made in a documentary-like, naturalistic style. It opens with Rubén (Germán de Silva), a truck driver, pulling into a parking lot and for a good ten minutes we observe every move of him: the turn of his head as he checks for vehicles behind, his arms planted on the steering wheel, and so forth. We hear sounds of cars from the road nearby and make out silhouettes of people. And that is it: that is all we get, in these initial minutes, but also often during the remainder of the film, which takes Ruben on his usual route from Paraguay to Argentina to deliver wood. 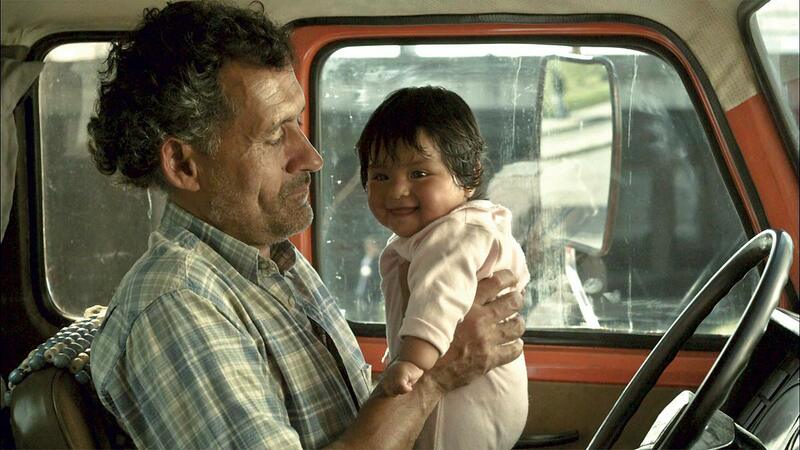 It’s a job he has done for thirty years, but this time he has two passengers to ferry as well: Jacinta (Hebe Duarte) and her 5-month old daughter Anahí (Nayra Calle Manami, whom one reviewer fittingly described as “obscenely cute”). This is company he is not used to. Jacinta quickly senses the man’s recluse, taciturn nature and complies, not even raising objections to Rubén smoking in the truck’s cab but simply declining his offer of a cigarette politely. Anahí, however, does not acquiesce: she has a coughing fit. She also never lets Rubén escape from her fascinated gaze, until he is forced to look back and becomes equally intrigued by her, remembering long-hidden sides of himself. Like the (lack of) dialogue, the cinematography of Las Acacias serves as a tool for characterisation. It does not try to charm viewers, but presents a landscape that is as lonesome as the individuals portrayed. There are no spectacular panoramas, only the vast, greyish pampa. This is the reality of Rubén’s life, the bleak route he has driven down again and again. It may have held delights – like a son he hasn’t seen in years – in the past, but is desolate and largely devoid of life now. Interestingly, the only exception to this is when the viewer’s gaze is directed by the other characters. It’s Anahí that catches sight of the playing school children, and Jacinta who convinces Rubén to enjoy the peacefulness of a lake for a while. 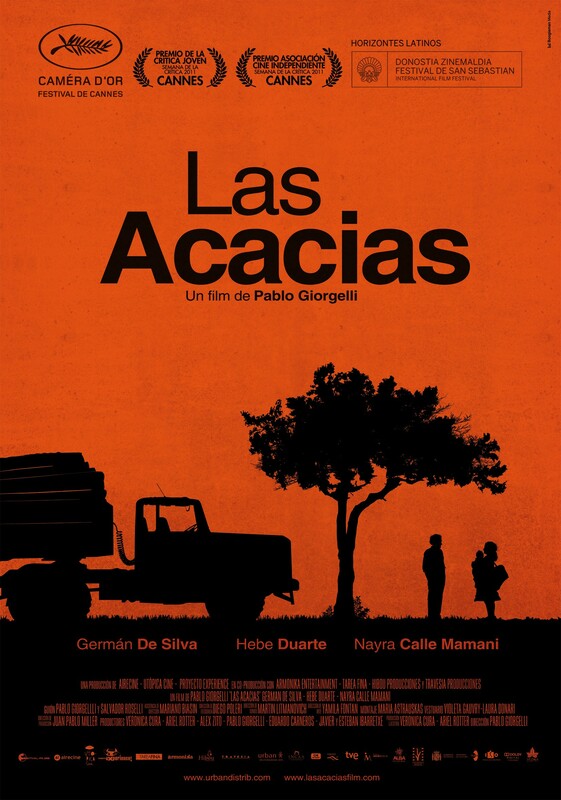 The film’s title, Las Acacias, visualised through the tree silhouette in the film poster (see below), is untranslated and not explained. It may be that the wood Rubén is transporting is from acacia trees, which do grow in Latin America and can be used for timbre. There are also various symbolisms associated with acacias, including, in freemasonry, purity and endurance of the soul, or otherwise friendship and secret/chaste love, which all kind of apply. 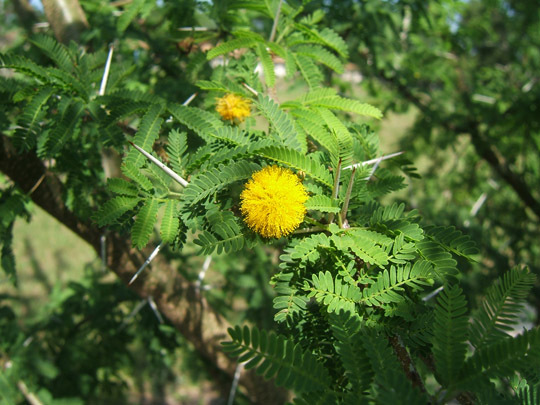 However, I think, we are better off to seek a metaphor of our own in the film: acacias are known as ‘thorn trees’ because of their long, densely-placed spikes, yet bear delicate flowers. Rubén, equally, may be a person that is initially off-putting to approach, but beneath his prickly shell is a gentle soul that simply has had too little human contact over several decades. When others – persistent little beings like Anahí – dismantle that exterior, a Rubén emerges that in the culmination of the final scene utters more words than he likely has in the past year, reencountering what it is like to be human. Overall verdict: A cinematic delight, offering an honest and realistic portrayal of a few individuals, with wider insight into the human experience. Yes, I’m on Twitter – as alualuna. 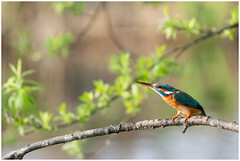 Haven’t used Twitter very much at all, but I finally connected this blog to my Twitter account, so new posts should start showing up there from now on as well. Have been slacking on the technological part of the blog, just haven’t had time yet. I probably watch too many films…but many less that I wish I had time (and money) to see. Curious as to whether you went to see Las Acacias and what you thought. 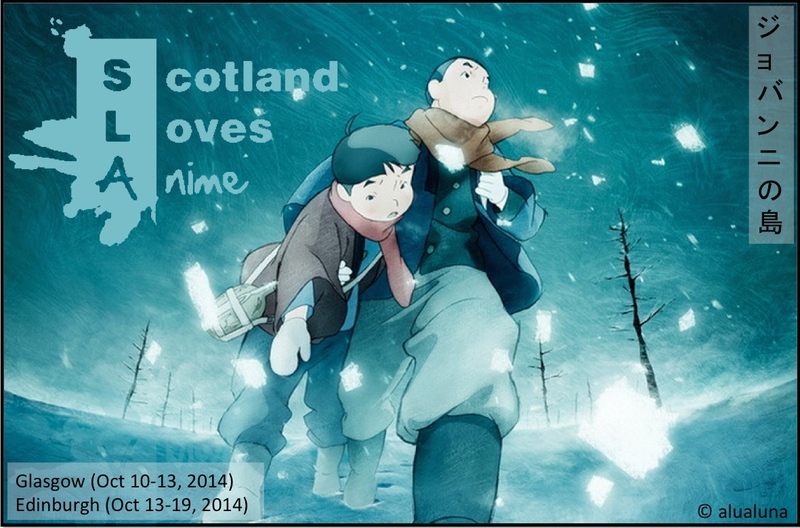 I watched the Tatsumi preview at the ICA myself this weekend, and will review that soon. I am not very much on Twitter… just haven’t really gotten into the habit of using it yet. Eventually I suppose! But I’m glad you went to see Las Acacias and am looking forward to your review! I have to say part of why I enjoyed it so much was also because it the Latin America portrayed in it really resonated in me (I lived in Central America before moving to London in 2009, and the characters, their environment and reality are very, very real and true-to-life). I think your blog looks fine. It’s nice to have plenty of things to look at, but if you feel it’s too much perhaps cut down on the list of recent reviews on the side? That way one wouldn’t have to scroll forever to get to your Twitter feed and other widgets.